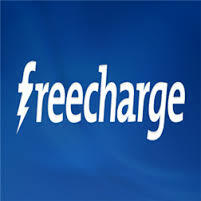 3.Initiate Recharge of Rs 100 or More. 6.Then Enter FC Coupon FCLINE100 Under GOT A PROMO/FREEFUND CODE? field. 8.Boom! You will get 100% cashback in FC Credits instantly. 2.Offer valid only one time per user/CC/DC. 3.Valid on minimum recharge of Rs 100. 5.Offer Not valid on Airtel Transactions. 6.Offer valid till 31st Oct'15. 7.Cashback not valid on transaction done Fc credits/Net banking. 8.Cashback will offered in form of EGV which can be redeemed in the next 6 months from date of credit.